The owner, Leigh was exceptionally helpful and friendly . The apartment was gorgeous and very well equipped . He even left out a box of biscuits for us all to enjoy ! We all (me , my daughter and grandchildren) want to return ! Please Leigh, update the pictures of the room because you are seriously hiding what a gorgeous room the place actually has to offer...the rooms exceeded my expectation and the view is honestly breath taking. Good location with nice views out to the bay. Easy to access via road. Beautiful view. Leigh was very helpful and friendly. Lovely views, well kitted out, warm, nice bathrooms, free parking, easy walk to Bay and cheap taxi into the city. Great contact from Leigh beforehand and to collect keys etc! Very pleased with it. The balcony view over the Bay was outstanding. Secure car parking space with a short taxi ride to town or Mermaid Quay. The bathrooms were both modern with showers, and the kitchen facilities were good. Lock in a great price for BayView Apartments Pool and Spa Resort – rated 8.5 by recent guests! BayView Apartments Pool and Spa Resort This rating is a reflection of how the property compares to the industry standard when it comes to price, facilities and services available. It's based on a self-evaluation by the property. Use this rating to help choose your stay! 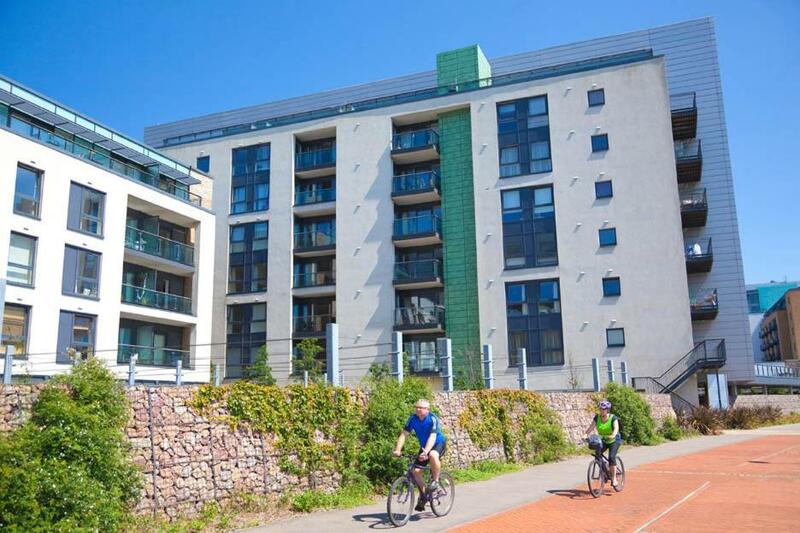 In exclusive Cardiff Bay, with a quiet residential location, Bayview offers modern and stylish self-catering apartments with free parking for one car. Bayview is near Cardiff International Sports Village. In addition, central Cardiff and the Millennium Center are within easy reach. Bayview Apartments have balconies and beautiful waterside views. Bars, restaurants and supermarkets are all close by. When would you like to stay at BayView Apartments Pool and Spa Resort? With bay views, this apartment also features a spacious lounge, a balcony and a fully equipped kitchen. All children must be over 12 years old. 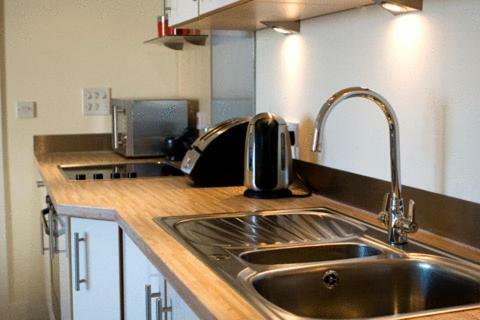 Safe Secure Accommodation in the Heart of Cardiff Bay in these fabulous Self Catering Cardiff Apartments with excellent Facilities. We have been welcoming guests to our apartments 9 years now so we know a thing or two about keeping our guests happy! Your in the heart of the Sport's village with International Pool Ice Arena Wales and the White Water Rafting Park all just a short walk from your apartment. 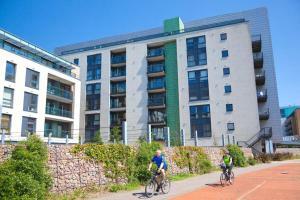 Great links over to Mermaid Quay and City Centre is an 8 minute drive. House Rules BayView Apartments Pool and Spa Resort takes special requests – add in the next step! BayView Apartments Pool and Spa Resort accepts these cards and reserves the right to temporarily hold an amount prior to arrival. Please note, there is no formal reception area for the apartments. Please contact Bayview before arrival to arrange collection of keys and receive directions. Any property occupied is strictly on the basis that the accommodations is for holiday use only and that no right to remain in the property after the end of the holiday period booked exists for the person or people who occupy the property. All people will vacate the property at the conclusion of the period of the holiday booking. Please note that parties are strictly not allowed. The property does not accept stag or hen parties, or any similar groups. The primary guest must be over 25 years old. Please note that AMEX is not accepted on site. Please inform BayView Apartments Pool and Spa Resort of your expected arrival time in advance. You can use the Special Requests box when booking, or contact the property directly using the contact details in your confirmation. Please note that check-in and key collection take place at: Morrisons Supermarket by cashpoint from 3pm CF11 0JP Location Please note we close 8pm everyday, Cardiff CF11 0JP. nothing to dislike, it would only be the ‘Parking for one car,’ acceptable as it is one space per apartment and easily rectified as we hired a bigger car, sorted. The flat was really dirty. Surfaces and tables in the kitchen and living room were filthy, crockery and cutlery all had to be washed before it could be used. Generally the decor was very very dated in comparison to equivalently priced properties we've stayed in in Cardiff and Swansea. Overall fine, but not good value for money compared to other places we've used in the city. There was nothing to fault with that room at all. The only problem we had at all was the patchy Wifi. It was only really available in the lounge. Host not responding to calls and not attending to concerns. Hot water not available when needed and hardly any internet connection. The building was smelling very badly from lack of refuse disposal at the refuse room.